Protein Fluff: A Recipe & a Video of Steve Cook Trying it for the First Time! Whenever people tell me they’ve never made protein fluff before I get REALLY excited. There’s just nothing like protein fluff! Whenever I describe it, I’m like a rabbit on speed, jumping up and down in the sheer delight that comes from knowing that soon their protein lives will change… forevah. This is exactly what happened yesterday at the Protein Pow workshop with Steve Cook (click here to see all the pics). With our bowls and our protein all ready, I gathered the guys around the table. “We’re going to make Protein Fluff! You guys know how protein fluff is made, right?” I got nothing, not a word. “Wait, none of you have ever made fluff before! ?” I couldn’t believe it. No one! Not even Steve! Not ever! Well… fwaaaa. “Let me try it describe it. It’s like… a cold marshmallowy heaven-cloud! 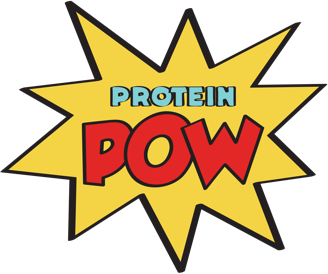 It’s like… fluffed up protein magic! It’s like fluffy airy protein-ice-cream-deliciousness!” I went on and on, possessed by the Protein Gods as they looked at me amused and curious as to what could POSSIBLE be THAT good. But then they got to try it and find out! And oh la la, the madness spread. Watch the video at the bottom to watch Steve and everyone else’s reaction to trying fluff for the first time! PS: Here’s a step-by-step video I put together of how to make Protein Fluff!